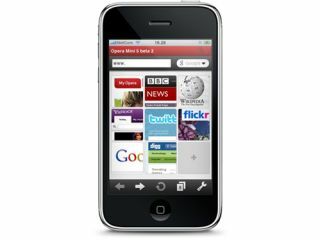 Opera is celebrating after hitting the 100 million mark in global users of its browsers. Opera has been boosted by the Windows ballot screen, which was brought in by Windows following the company's high-profile complains to the European Commission. And with a 50/50 split between PC users and people who use Opera on mobile devices, the company is celebrating a 30 per cent year-on-year growth for its flagship desktop browser, according to March figures. "Opera's record growth shows that we are on the right track, and that as user needs grow, we are growing right along with them," said Lars Boilesen, CEO, Opera Software. "Opera for Desktop delivers the fastest browsing experience on the planet, with a visionary approach to features and a user-friendly design." Opera's total percentage of the global browser market remains small, although its place in the top five browsers means that it gets a prized place on the first ballot screen from Microsoft. The company's strong mobile presence and, of course, deals with the likes of Nintendo where Opera is used as the browser on the Wii console, certainly help the company's profile.